Someone wrote that? 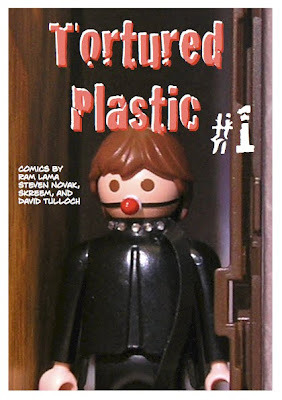 : Tortured Plastic? After a hiatus of 17 years I'm seriously thinking of putting out a mini-comic again. Here's a sneak peak at a possible cover design. who did an amazing batman series which as the inspiration for thousands. looking forward to seeing your mini comic,really interested in how you will be publishing it in this 21st century. Only two pages of the mini-comic will have toys. The rest is more traditional art. As for how ... currently I'm leaning to buying a cheap printer and running it into the ground, as that seems to be more cost effective than any other option I can price.